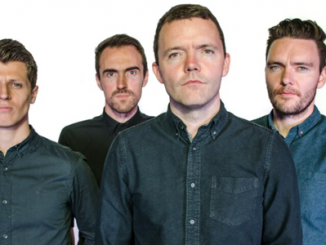 Manchester four-piece The Slow Readers Club has shared the video for their new single, ‘On The TV’, ahead of their sold out headline tour next month which will see the band play the biggest shows of their career so far. 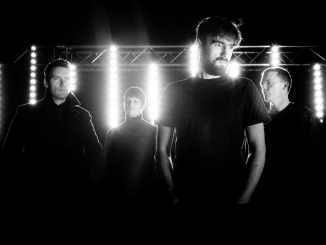 The video blends brooding and atmospheric imagery with a mysterious narrative, cut between shots of the band performing the track in a TV studio. Set against the driving and anthemic track, the video creates an unnerving ambience to match its anxious lyricism. The video’s director, Chris Croft, explains: “As we naively wander through the world each day a barrage of opinions, agendas and messages rain down on us. I imagine all The Slow Readers Club music videos I’ve made to date to exist in the same near-future post-apocalyptic world. The track is taken from the band’s new album, Build A Tower, which was released in May this year and went straight into the Official UK album chart Top 20 at number 18, 10 in the physical album chart, 4 in the vinyl chart, 4 in the indie album chart and Number 1 in the cassette chart, as well as tracks receiving extensive support from BBC 6 Music and Radio X. In September they released For All Here To Observe, a collection of acoustic reworks including tracks spanning their entire career. 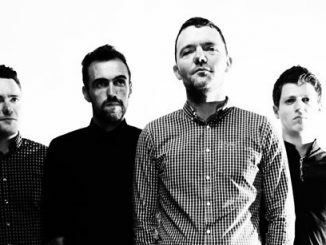 The Slow Readers Club toured the UK extensively in support of the release earlier this year, which saw them sell out shows across the country including the 2,000 capacity Manchester Cathedral, within just hours of tickets going on sale, and London’s Islington Assembly Hall. The band have also been announced for the Netherlands’ Eurosonic on the 18th January and a main stage appearance at Neighbourhood Weekender in Victoria Park, Warrington on the 26th May alongside Richard Ashcroft, The Vaccines and The Charlatans. 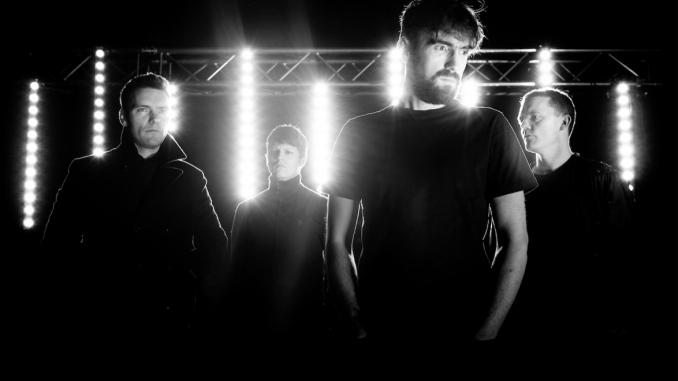 This year has seen the band play numerous festivals in the UK and Europe including Kendal Calling, Beautiful Days, 2Q, Reeperbahn, Haldern Pop and Kaltern Pop, as well as a headline slot at Head For The Hills Festival in Ramsbottom in September. The band will embark on the final leg of their headline tour in December with a show at Glasgow’s School Of Art, before wrapping it up with shows at London’s Scala and Manchester’s O2 Apollo, the biggest shows of their career so far, and all of which have now sold out. Tickets are available from theslowreadersclub.co.uk.